This book features the most significant medical writings of the past 4000 years. 124 papers by 120 influential authors are all here in chronological order, each with an introduction and short biography of the author. The articles cover almost every aspect of medicine and practice: pathology, bacteriology, physiology, asepsis, inventions, etc. 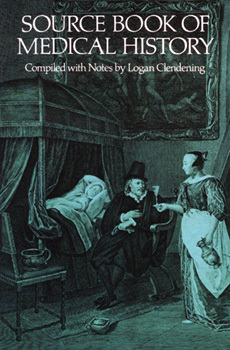 Articles include: "On Anatomical Procedure", "The Propagation of Yellow Fever", and "The Fabric of the Human Body". See the evolution of medicine and medical practices throughout time with this fascinating new book. Anyone interested in medicine will be given an in-depth view of their profession unequalled for its accuracy.